On a separate sheet is a grid which will be filtered by the values submitted here. 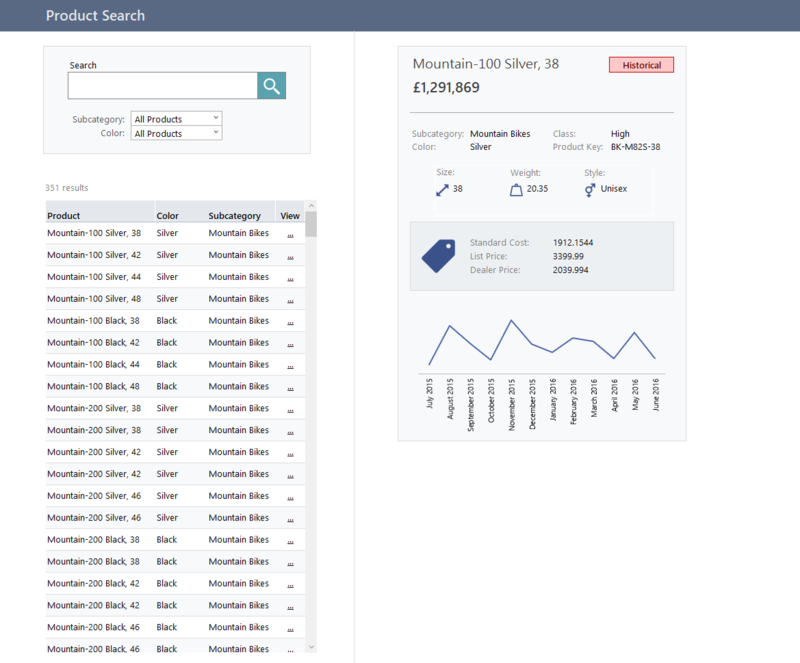 A member search is being applied to the ‘Product’ hierarchy. The search value is the empty cell we created earlier. The hierarchies in the ‘filters’ section are driven by the two slicers. It is also worth setting up a named range for the grid so that we can create a viewport that will display the whole grid no matter how may rows are returned. You should now have a grid that updates according to the search and filter values. If you wish to have a button that triggers the search like in this example, turn off “Refresh when driving cells change” (and optionally “Refresh when slicers change”) in the grid properties. 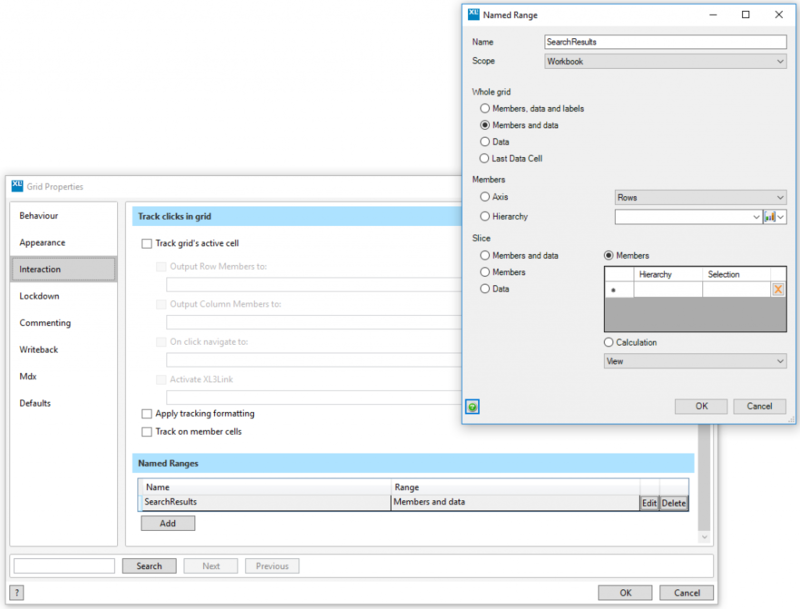 You will then need to create a XL3 formula (such as an XL3RefreshSheetObjects) that will refresh the grid when the picture link is pressed (the picture link sets a range to TRUE – this range is the trigger for the refresh formula). 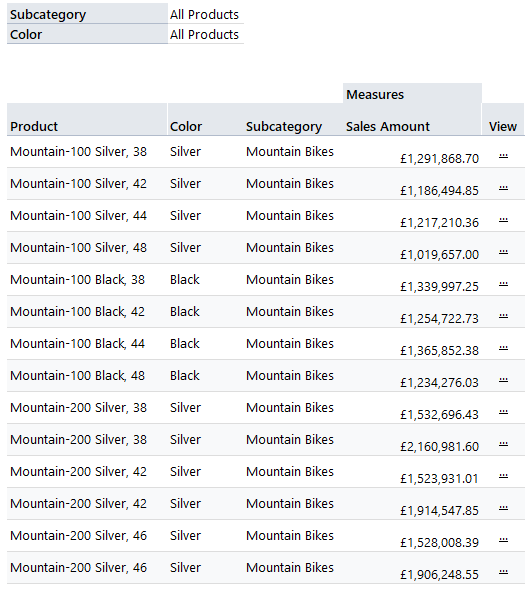 Selecting one of the XL3Links in the search results grid passes the product name to a cell on the main sheet. The example uses this cell as a parameter for an XL3PropertyLookup formula, but any design could be created here. This can be a really great way to provide a high level overview and low level detail to a report or dashboard. 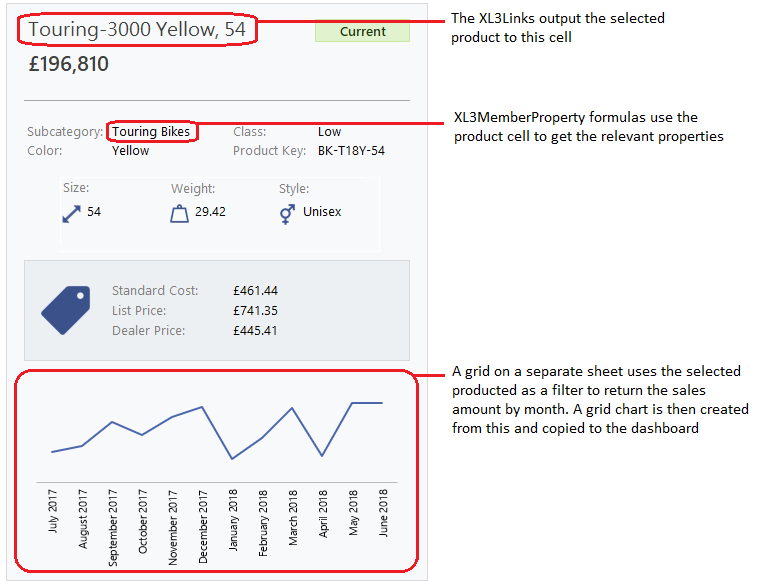 It also provides interesting opportunities for optimised report design (our example uses different font sizes/weights to indicate importance, icons for quick scanning, and data visuals in the form of a chart) within Excel.